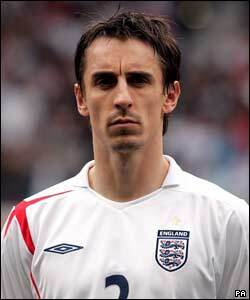 I think it was Robbie Fowler who labelled Gary Neville as "The charasmatic Gary Neville", but even Mr Fowler will be impressed at what has happened to Man Utd's favourite footballing right back. He hired to scally's to come in a tile his swimming pool and they were unable to resist a prank so they built a shrine to Liverpool underneath his pool. Apparently there is a scarf, a Liverpool fanzine and various other bits of memorabilia in a time capsule now buried under his pool! Not bad for a guy who really dislikes the Scousers.